Congo, I saw self-sacrifice first hand—and it touched my heart, to do my part. people in all the churches of the surrounding area,” one standing nearby explained to me. “Their place of worship was built seven years ago, but it didn’t last.” Under the elements of the passing seasons, the roofing rusted and the supports rotted. The building caved in. Left with ruins, the members cleared the area of rubble and swept the hard-packed earth clean. Christopher and I arrived at the clearing with a team of locals to build a new church frame. Eager church members swarmed to unload supplies and assist with the project. When ready to place the roofing materials, several young men of the church surged forward to a simple mud and brick house nearby. Slowly, they began to pull sheet after sheet of the old roofing panels out for review. Each sheet was rusted brown and marred with holes. The church leaders were regretful, but lacked the money to purchase a new roof. If you are looking for the best roofing experts you could try these out. At this time, a pastor stepped forward—a gracious, godly man with a desire to give for the cause of God. Pastor Kodo is a church leader and counselor to many. He traverses multiple districts to oversee God’s work, traveling an impressive 700 miles, twice a year, to visit and train church members and leaders. Where the average daily laborer’s pay is $2 a day, and the cheapest motorcycle to be bought is about $600, not all can afford this luxury. 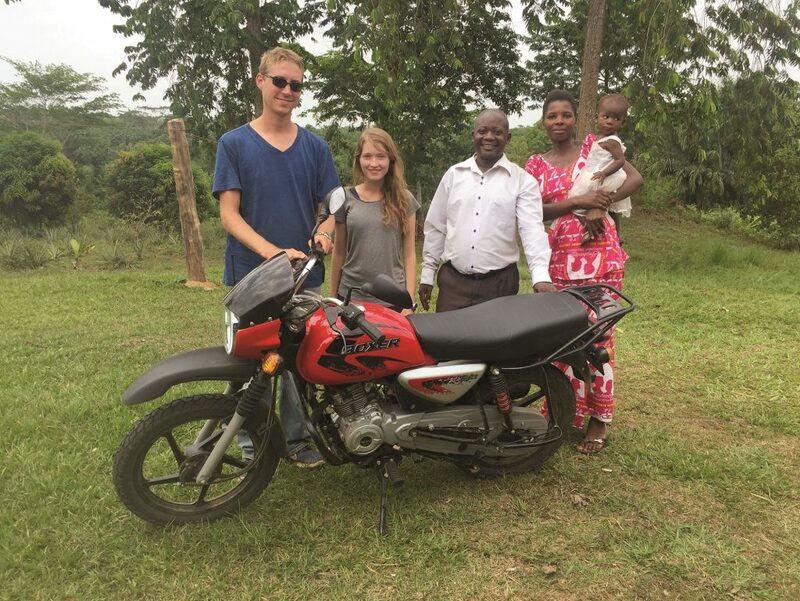 As this Adventist pastor painstakingly saved his money, he pedaled a bicycle or paid for a moto-taxi when he could. Often, it was his bicycle that took him all the miles on his route deep into the interior of the jungle. In two years, he managed to save $200. When he reached the church yard where one of his congregations puzzled over the old roofing materials, he thought of the money he had saved so carefully for a motorcycle. How could he let God’s house go without a roof to keep out the sun and rain? With resolution born of a hero’s heart, he stepped forward. “I will give my motorcycle money so that God’s people can have their roof.” And he did. A Congolese pastor in a land of great darkness was willing to spend the rest of his days pedaling hundreds of miles in tropical heat on a bicycle, that he might give to the cause of God. Pray for the work that Pastor Kodo is doing in the Democratic Republic of Congo. Pray that many more people will be won to the Lord through Pastor Kodo’s efforts. To donate online, visit congofrontlinemissions.org/donate.